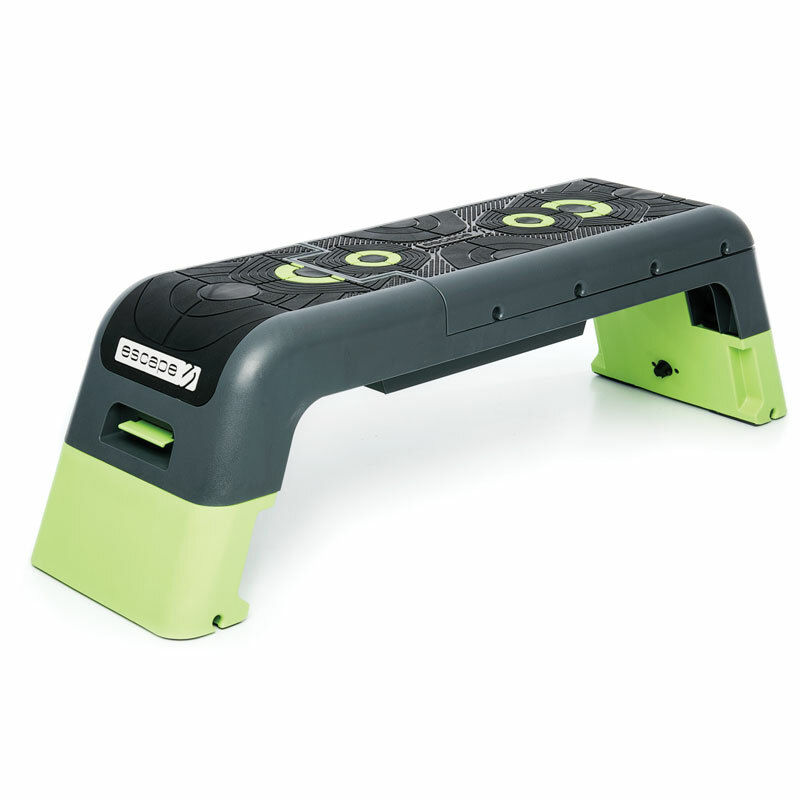 The original Deck established itself as the perfect all-in-one tool for step, circuits, BODYPUMP™ and bootcamps. 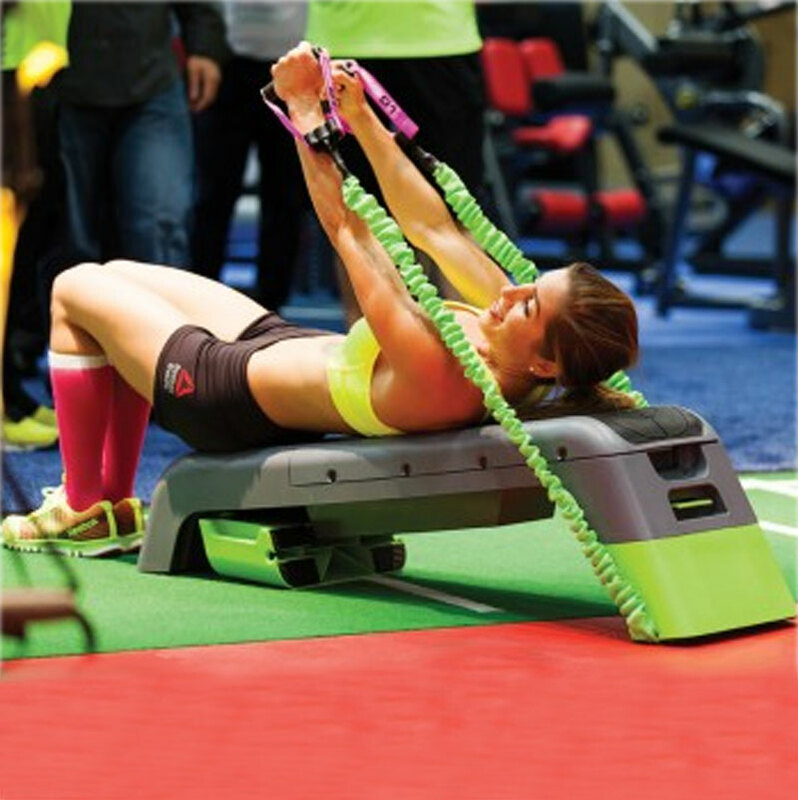 Now the Escape Deck 2.0 adds even more versatility for cardio and strength workouts with 16 possible configurations. 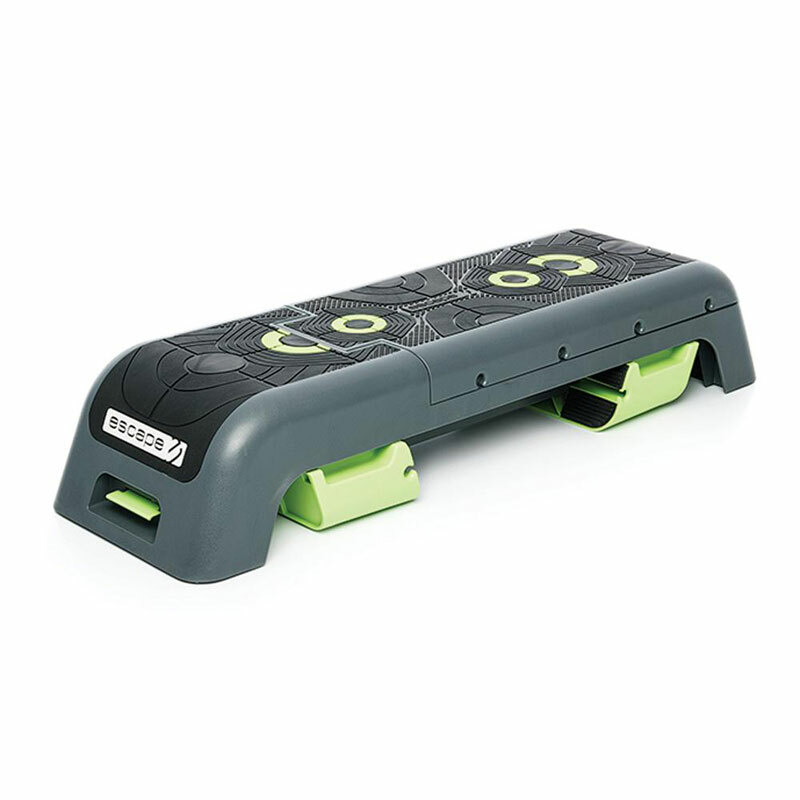 Intelligent Grip - The anti-slip rubber top surface features intelligent grip. The texture of the grip varies depending upon activity happening in that area with a light texture for hand placements and aggressive tread for feet. Target Zones - Stepping is now more varied, fun and challenging with specific targets to hit. The entire length of the platform is used for even more exercise options. Targets ensure users have their hands and feet in the right place for every repetition. Adjust the angles - Set the platform on a slant of 8º to create an angled position for stepping and other exercises for even more versatility. 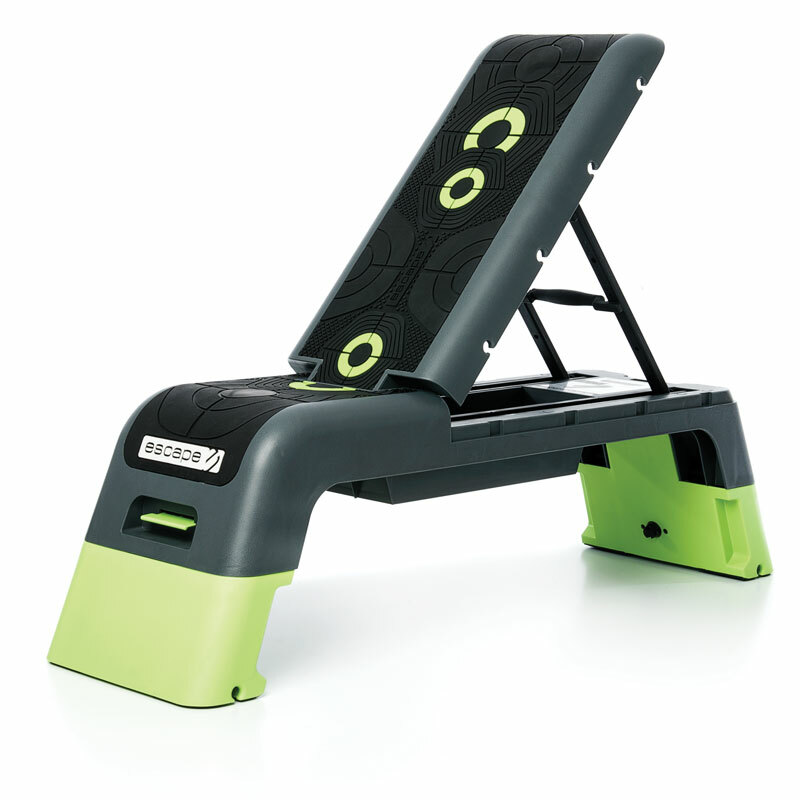 As a weight bench you can choose between 30º, 45º and 70º. 1100mm x 330mm x 205/355mm (43.3” x 13” x 8”/14”).